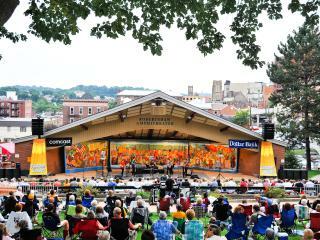 Summer in Pennsylvania&apos;s Laurel Highlands is full of terrific things to do and see! Enjoy spending some time relaxing both outside and inside with live music and entertainment at local parks, theaters, restaurants, wineries, and more. Check out the list below for some of the most popular ongoing outdoor concerts and live music events going on throughout the summer in the Laurel Highlands. For a complete list of year-round concerts and events, visit our calendar of events.